OT-1 evaluates the full spectrum of the F-35C’s suitability for operation within a carrier air wing and mission effectiveness to the maximum extent possible. The F-35C has the ability to pass on the information it collects not only to other F-35s in the air, but to legacy aircraft, carrier air wings, strike groups and troops on ground, enhancing the warfighting potential of the fleet. 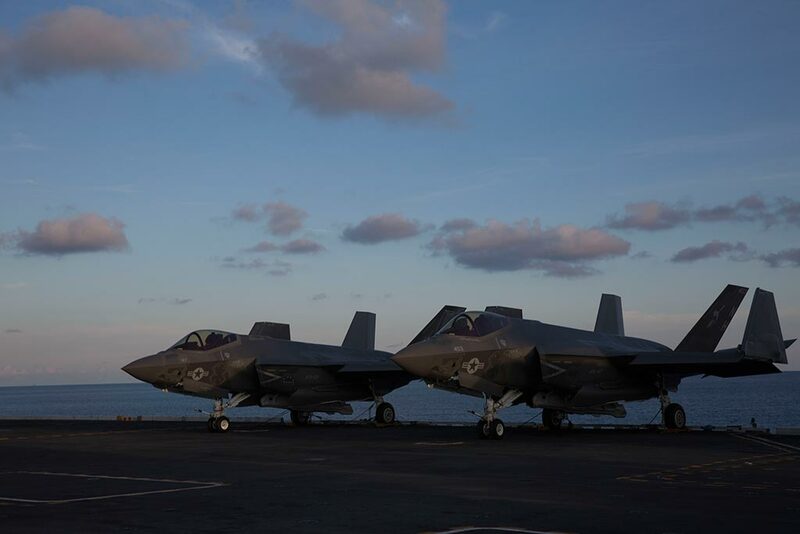 Previously, F-35C and F/A-18 Super Hornet pilots have only conducted carrier qualifications together, so OT-1 marks the first time the F-35Cs have joined a carrier air wing to perform in a cyclic operations environment. During cyclic operations, aircraft simulate missions, practice aerial maneuvers and take off and land continuously with brief pauses to allow for maintenance, fuel and ordnance changes. Operational Test-1 helps give the Navy an assessment of how the aircraft would perform on deployment. As adversaries advance and legacy aircraft age, the F-35C is critical to maintaining air dominance. And while pilots adapted to the new aircraft, the crew of Abraham Lincoln also adjusted to the F-35s. 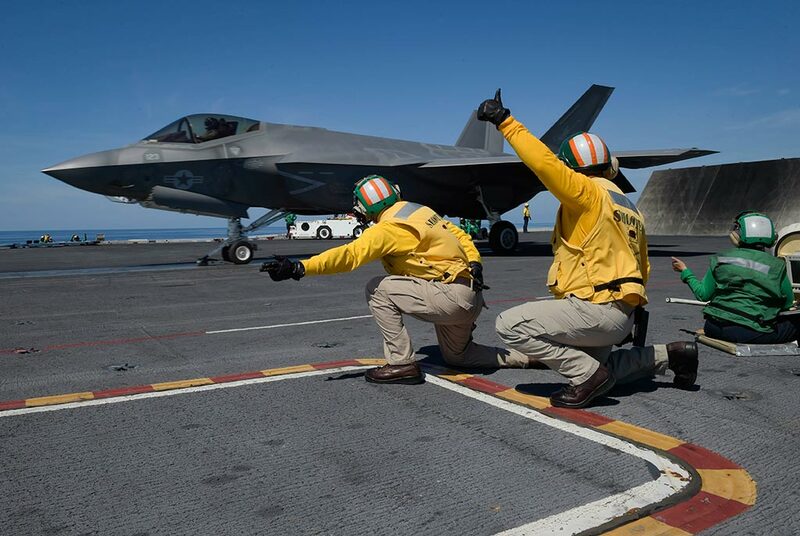 From Aviation Boatswain’s Mates to Air-traffic Controllers, each Sailor learned to manage the aircraft with its unique attributes and capabilities. With the successful completion of OT-1, the fifth-generation aircraft is one step closer to becoming deployable in the Navy fleet. 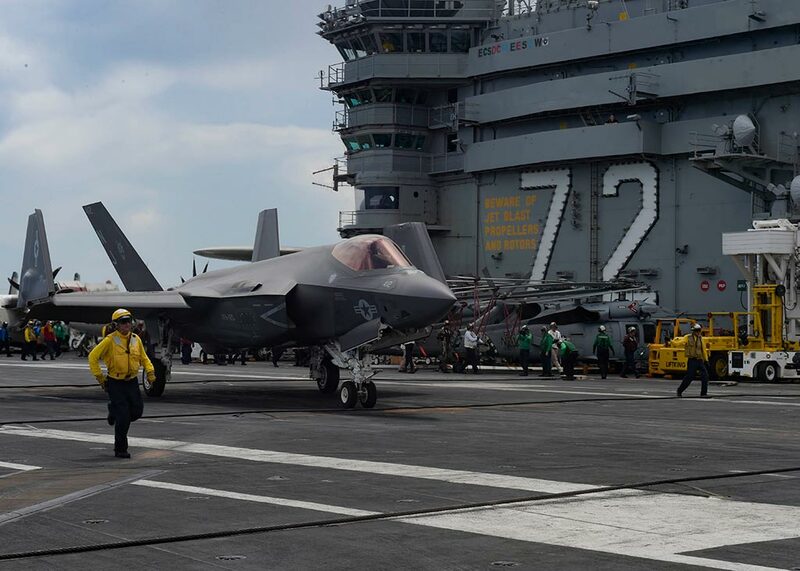 Data and lessons learned during OT-1 will lay the groundwork for future F-35C deployments aboard U.S. Navy aircraft carriers following the Navy’s F-35C initial operating capability declaration. 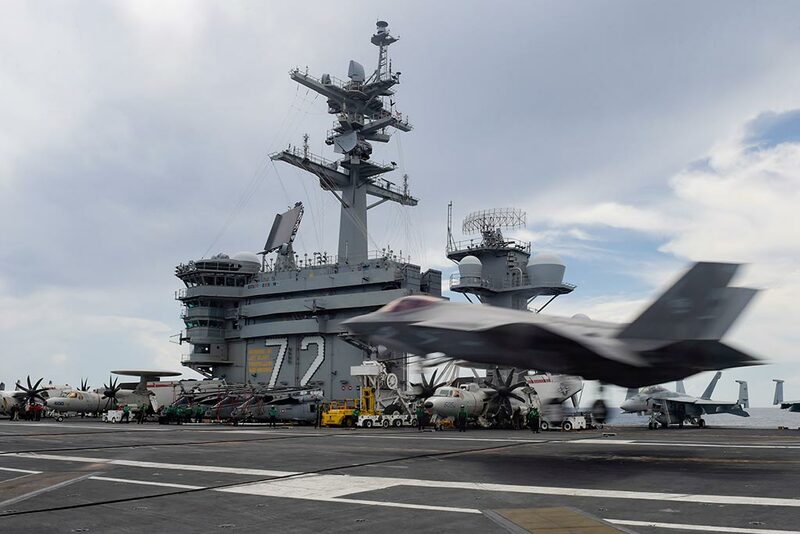 According to current US Navy planes the reach of initial operational capability (IOC) should be about in the first months of 2019 and USS Carl Vinson (CVN-70) will conduct the first F-35C carrier deployment in 2021.